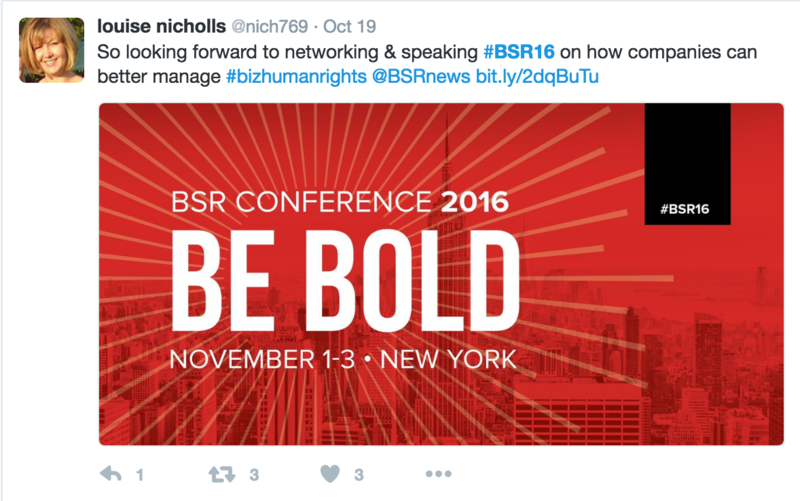 Tomorrow, we’re kicking off the BSR Conference 2016 in New York. Over the next three days, we’ll hear compelling stories from companies, foundations, big thinkers, and creative doers who are making big bets in building a better world. It all starts tomorrow at 4:45 p.m. EDT with an opening speech from BSR President and CEO Aron Cramer, followed by plenary addresses from General Mills Chairman and CEO Ken Powell and the Honorable Kevin Rudd, former prime minister of Australia and president of the Asia Society Policy Institute. We’ll broadcast our full plenary sessions in a live video feed. Visit the registration page to sign up and join in. No matter your favorite social-media platform, we’ll be there. Twitter: We’ll live tweet nearly the entire event from @BSRnews using the hashtag #BSR16. 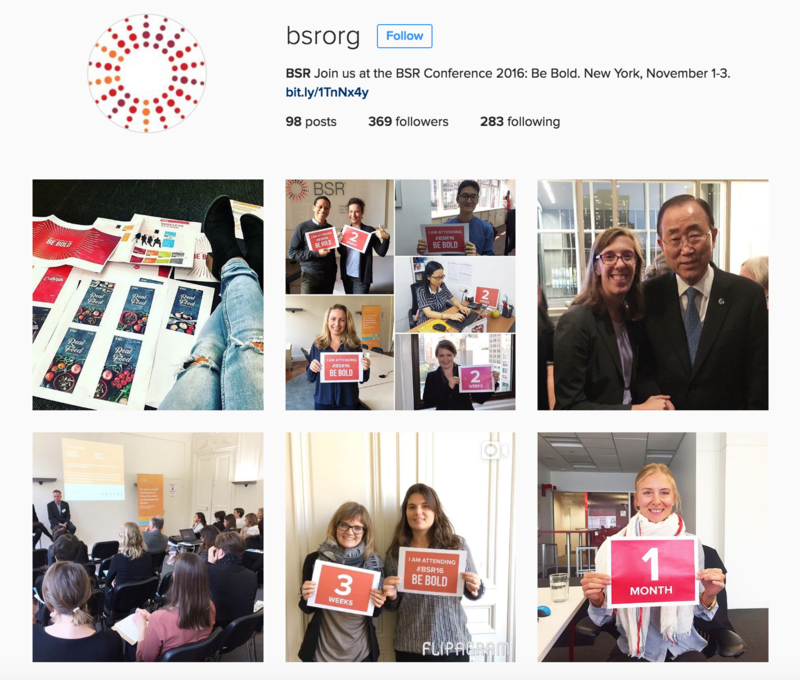 Instagram: Follow our Instagram account, @bsrorg, for exclusive, behind-the-scenes looks at the Conference. 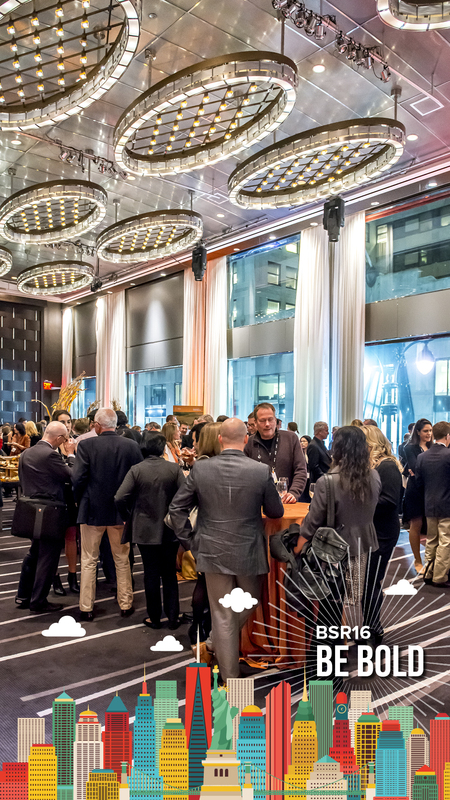 Post your photos using #BSR16 and tag us! Find out more information on Facebook, LinkedIn, and Flickr. And join in the conversation! 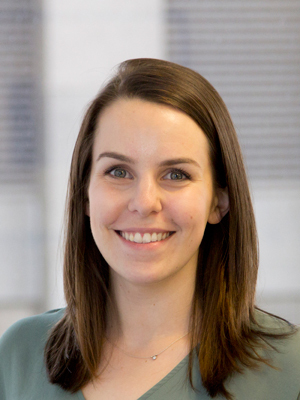 We’re opening up our plenary sessions for questions from Twitter—while you’re watching them on our livestream, ask our keynote speakers about their experiences being bold using #BSR16. 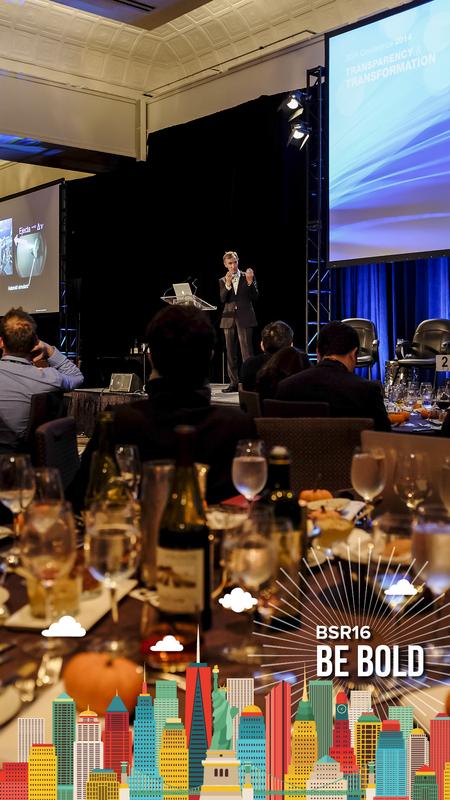 We’ll have videos, content, and other features available after the event, so be sure to visit the BSR blog and BSR Conference website. Single-day passes are still available, so if you’re in the area, join us! And whether you’re in the plenary hall with us or watching on your screen, we look forward to hearing your thoughts on #BSR16.